Breaking students into groups can be the bane of cooperative learning. Not anymore. 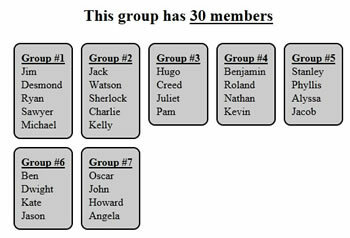 Take the pressure off your shoulders and put it on the Group Maker Tool.